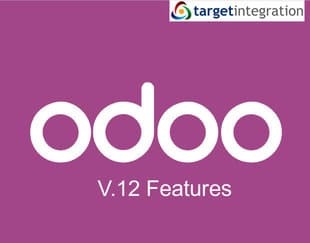 Now that we are fully recovered from Odoo Experience, I thought it will be good to tell all our readers & customers about the new features released by Odoo in their latest version of Odoo. The improvements are fantastic and the future is definitely bright for this fantastic ERP system. Odoo has now reached 3.7 million users around the world and promotes a quick start method to implement your ERP system which is way different from the implementation methodology of other software providers. The new document management system makes it easy for you to manage documentation and attach them to records. Not only that you get to assign tasks for missing documents, for example, a purchase invoice not shared by the purchase manager or an expense not recorded but already paid. Furthermore, you can have actions on scanned documents. These actions can be anything like, create a purchase invoice from Documents or create a contract or send for signature. Document management system also has OCR integrated so that you can read the text and create the line items for purchase invoices as well. This definitely gives a challenge to our Google Drive Upload to Invoice creation module. Another good feature is the in-browser view of documents. We had to develop this while working with the Credit Union Mortgage Application Management system. You can upload documents to folders using emails (attachments are stored), file uploads are handled using drag and drop as well as standard browser upload. Documents have tags. You can tag a document and update the tags based on certain actions. The more the information, the easier it is to make the right decision. 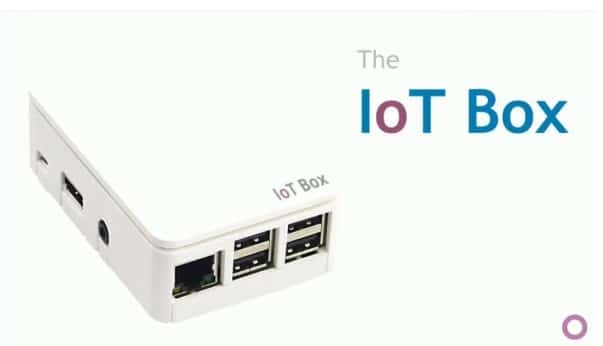 The Internet of Things is turning into something of a nebulous concept, as more and more devices enjoy connected status it’s become more difficult to draw a line in the sand between what does and does not constitute as an IoT device. Recently, we had to work on the integration of a weighbridge with Odoo. The integration used custom development running on a computer connected to the weighbridge. IOT Box is perfect for environments like those and you don’t have the pain of connecting a computer to the weighbridge. Once connected, you can search the network for IoT devices (See screenshot below). One of the most sought-after requirements from Odoo e-commerce was Multi Website Support. The new feature allows to set up multiple websites on a single database. It’s hugely useful for online stores who are selling under different brand names or under different domain names. Complex integrations and third-party modules… Bye Bye!! You can also choose a different theme for each website. Additionally, Odoo now also features a colorful dashboard, as well as helping you capture more user metadata for marketing. Customer/Vendor Receipt, which gives you the ability to collect or pay money with defining a specific partner. I must say Odoo Accounting is now ready to challenge Xero & Sage Accounting software as a great alternative or more than an alternative with the suite of apps available. You can now style and edit your report in Odoo studio as well. 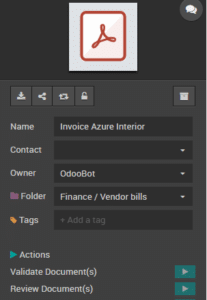 Odoo studio provides you a Drag and Drop feature for fields and data. I think showing screenshots for this module is not as cool as showing a video would be. So wait for someone from our team to create a webinar on this and we will show you how the whole thing works in the next couple of weeks. New and advanced graphical view of all inventory operations. 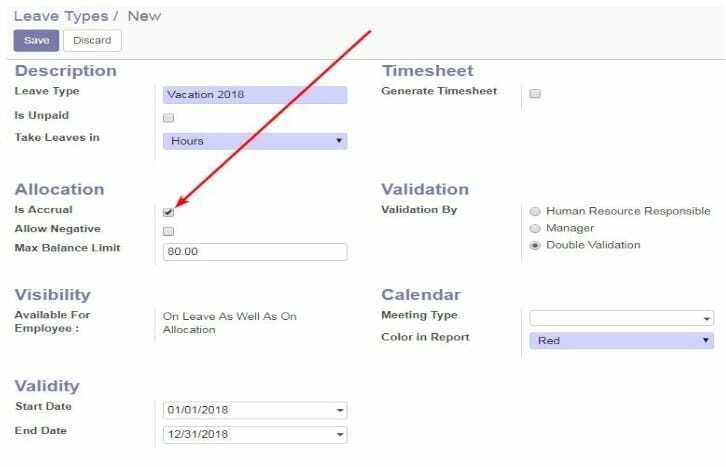 Odoo 12 supports leaves like accrual of vacation leave, sick leave etc. Leaves in days, half days or hours and set accrual limits support negative too. Leave management validation can be double validated by HR and manager. Also, the timesheet generation in a PTO (product turn-over) project is automated. Avoid the chance of miscalculation on holidays for employees and make sure you don’t send everyone on holidays at the same time. 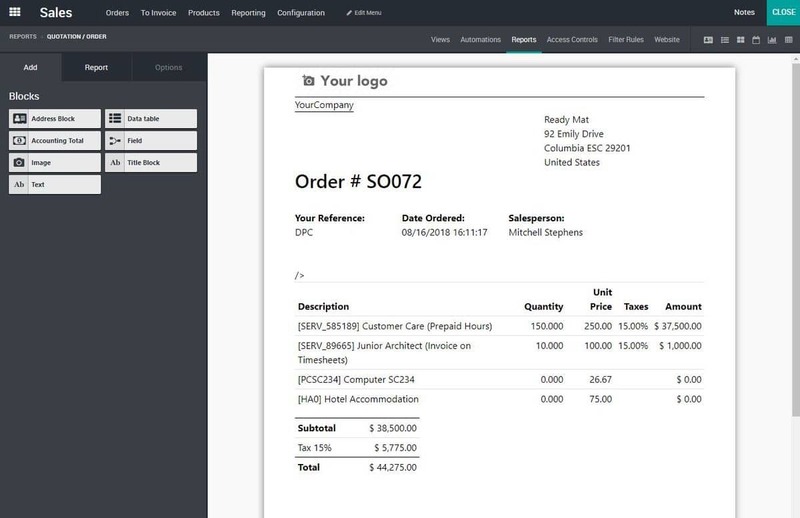 Expense module now allows for faster data entry with pictures of expenses or bills on the side of their corresponding document. The bookkeeper now has to do less screen flicks or depend on two screens in the office. This and lot more is available in Odoo v12. As I mentioned, we will work on a webinar to show you some specific features and a list of those will be available on our Eventbrite page.